The CIA has escalated its use of drones in Pakistan, launching seven deadly strikes during the first 10 days of 2013 and killing at least 40 people, 11 of which may have been civilians. The flurry of strikes has raised speculation that the Obama administration is accelerating attacks in the wake of the 2014 withdrawal from Afghanistan, in fear of losing the capacity to carry them out. 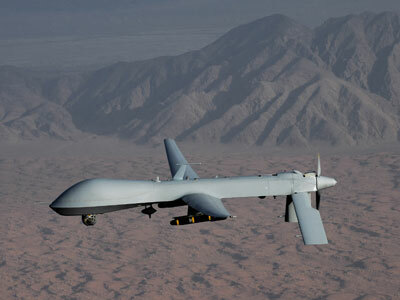 In 2012, the US launched 43 drone strikes in Pakistan with an average 7 to 8 days between strikes. At the current rate, the US is set to kill far more people than last year. This year’s drone attacks have so far done little to spare civilians: the Long War Journal found that US drones have killed at least 11 civilians since Jan. 1, which exceeds the number of civilians US officials say were killed in all of 2012. 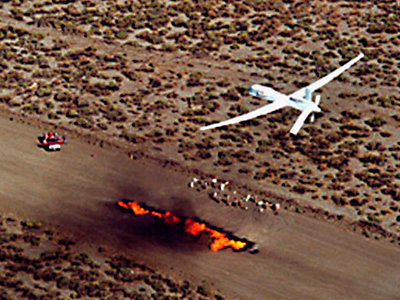 US intelligence officials claim the increase in drone strikes is an initiative to take out as many possible opponents of the Afghan government because of the looming 2014 withdrawal of 66,000 US troops. With less than 6,000 troops remaining in Afghanistan after 2014, the CIA’s network of bases will be reduced from more than 15 to five, due in large part to a lack of security for its outposts. 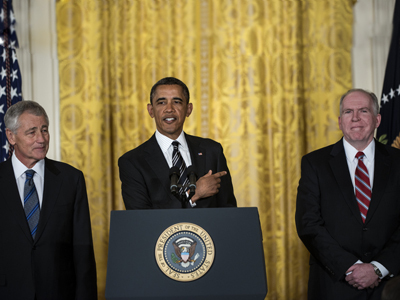 “As the military pulls back, the agency has to pull back,” a former US intelligence official told the Post. While the Pakistani government has remained mute about the increase in attacks, some claim to be baffled by the CIA’s surge in activity. 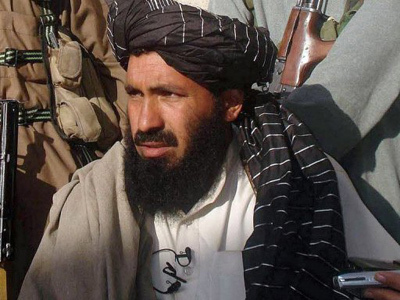 In South Waziristan, thousands of Pakistani tribesmen took to the streets on Saturday to protest the killing of Taliban commander Maulvi Nazir, who had reached a truce with the Pakistani military but was killed in a US-led drone attack on Jan. 2. “This is beyond our understanding why the drone strikes are increased,” said a tribal elder from North Waziristan. The Pakistani government has made no mention of the strikes, but politician Imran Khan publicly condemned the strikes on Sunday, calling them a violation of Pakistani sovereignty and international law. 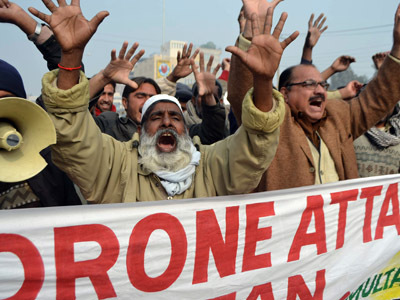 Drone attacks in Pakistan’s tribal region have significantly increased over the last few years, with US officials claiming they are an effective strategy to combat militant groups based in the tribal regions. 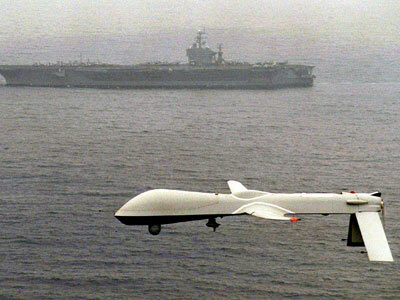 The CIA has launched more than 340 drone strikes in Pakistan. It is unknown exactly how many civilians have been killed, but the Bureau of Investigative Journalism found that from June 2004 to mid-September 2012, drone strikes killed between 2,562 and 3,325 Pakistanis, many of whom were children. 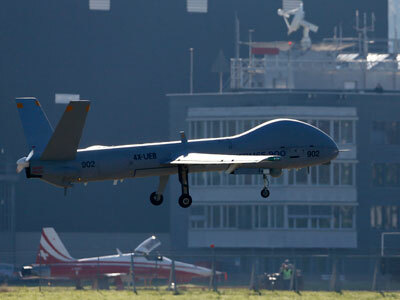 “We will seek an end to drone strikes and there will be no compromise on that,” said Pakistani ambassador to the US, Sherry Rehman, at an Aspen Security Forum in July.